In 2018 Linfox Australia and New Zealand has been taking great steps to achieve its 2020 Strategy. We have acquired new customers, retained current customers and we have expanded our service offering. 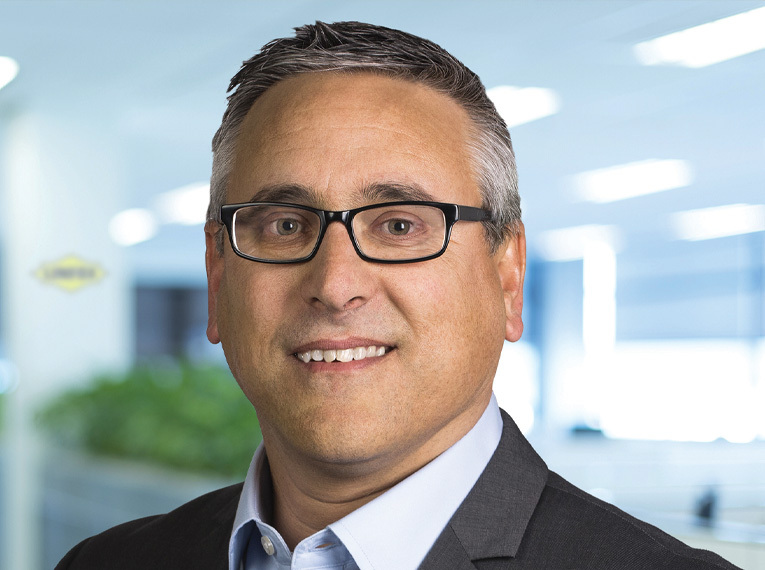 The acquisition of the Aurizon Queensland Intermodal business expands Linfox Intermodal into a national provider and unlocks a number of opportunities by linking Linfox’s Eastern Seaboard and North Queensland services. It will see us offer a new and compelling logistics option for businesses operating into and out of locations such as Cairns, Townsville, Rockhampton and Gladstone, to name a few. We’re already working to ensure that Linfox customers get full access to this new acquisition. We have upgraded our systems and fleet and have invested in a record number of Euro 6 Volvos and brand new Scania prime movers. These vehicles are currently the safest trucks in Australia and will be delivered throughout the year. 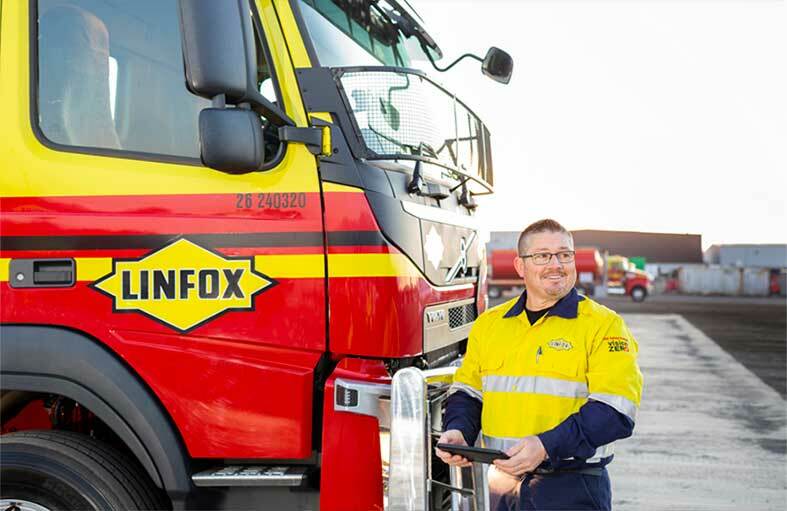 We have introduced our new FoxTrax safety system which is a flexible cloud-based platform that allows Linfox to more efficiently manage fleet and employee safety by tracking vehicle movements, hazards and events. The system uses interactive dashboards, event reporting and action management technologies to enhance safety across all Linfox operations in the region. We are also set to complete the rollout of our state-of-the-art in-cab monitoring system to deliver greater fleet visibility and control and enhanced safety and compliance benefits for customers and our business. We have adapted to changes in our industry to keep Linfox and our customers ahead of the curve. Chain of Responsibility laws took effect in October and we have been educating our teams and working with customers to ensure they understand the full reach of these laws and their implications. This legislation will ultimately make our industry safer by increasing the accountability of company leaders and we are supporting our customers to ensure their businesses are compliant. To ensure our people never become complacent about safety, we conduct a Stop for Safety Campaign each year. This year’s theme was Speak Up - a reminder to continue to talk about safety and report any unsafe situations. All 6000+ employees completed the one hour program at sites and offices around Australia and New Zealand in preparation for our peak season Summer of Safety campaign. This will run from November to February with our Vision Zero target - zero fatalities, zero injuries, zero motor vehicle incidents, zero net environmental emissions and zero tolerance of unsafe behaviour and practices. As always, we continue to focus on innovation as part of our investment in the future. This includes supporting the advancement of electric vehicles (EV) within the region by helping form the Australian Logistics Council’s (ALC) Electric Vehicles Working Group. Along with other ALC members and valued customers, Woolworths and Australia Post, we have set clear industry priorities and identified barriers to uptake. The group has also determined what is needed at a state and federal level to accelerate EV uptake through legislative or regulatory change. We have also supported Woolworths’ electric rigid vehicle trial at our AARC testing ground in Victoria. 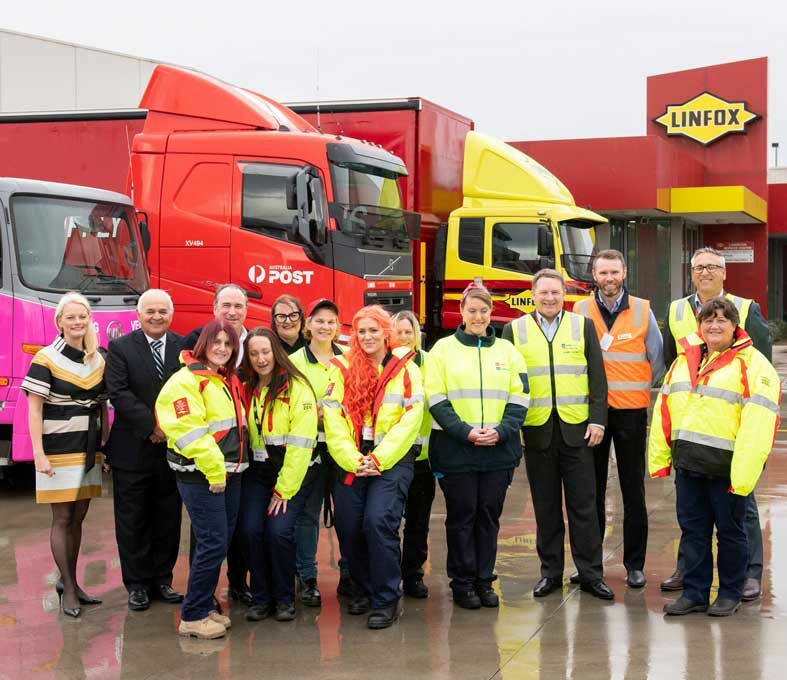 Linfox has also taken steps to diversify our driver mix by investing in a female driver training program in partnership with Australia Post, Volvo Australia, Wodonga TAFE and Transport Women Australia. 2018 has seen us build a strong foundation. Linfox steps into 2019 with new assets, greater capability and capacity and stronger systems and practices to support our safety and compliance record. I look forward to bringing the benefits of all these investments to our customers in 2019.